Conference Hall with Video Conferencing Facility. Registered Charitable Trust with Income Tax exemptions. 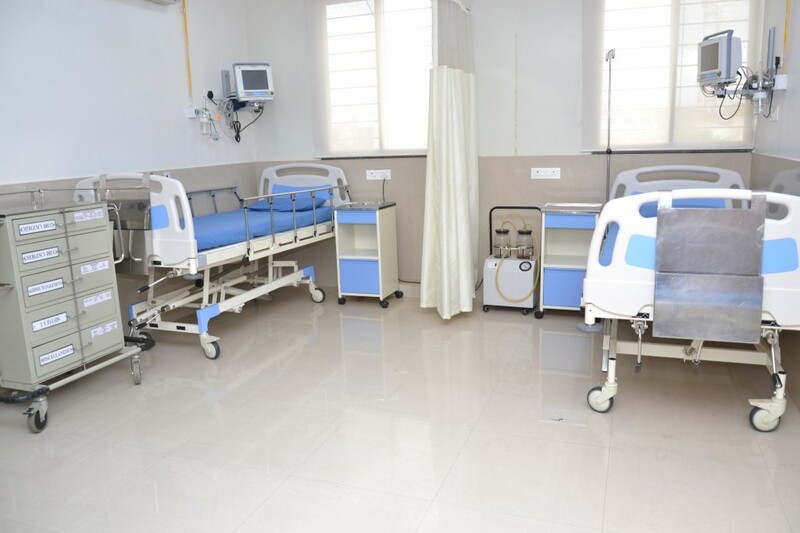 The Surgical Oncology department comprises of 3 Ultra modern well-equipped operation theatres with 5 bedded postoperative intensive care unit. 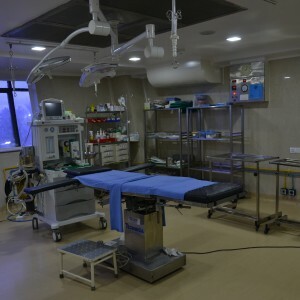 The OT is backed up with Ligasure, Valley lab cautery, Dragger Boyle’s, Defibrillator, Sevoflorane vapouriser, Ventilator, C-Arm, Central Monitoring connected to conference Hall & online surgical opinion. 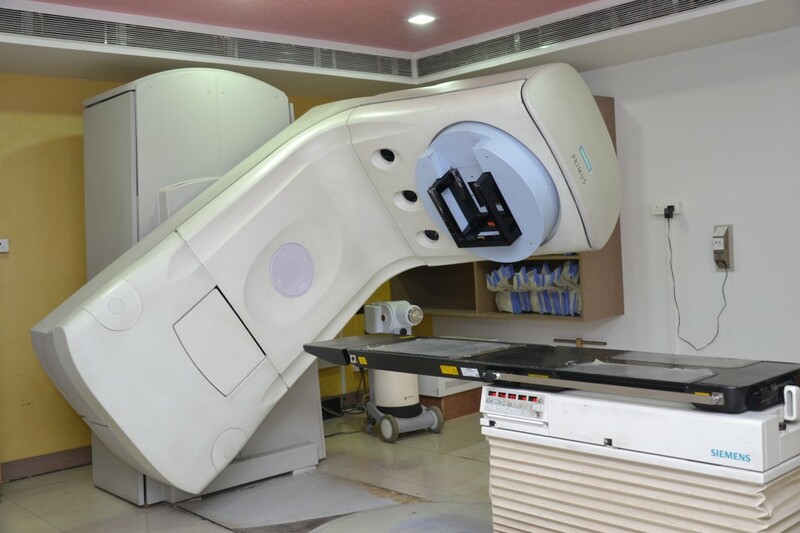 The centre is equipped with the first Linear Accelerator Machine of North Maharashtra region with 6 MV photons & Multiple Electron Energies. Backed up with 30 channel HDR Nucleotron brachytherapy machine. 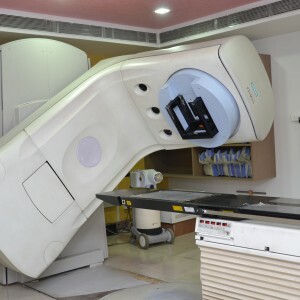 The centre works in co-ordination with Central Physics Lab of Curie Centre of Oncology, Bangalore. Chemotherapy forms the mainstay of treatment in childhood cancers, leukemia and lymphomas & majority of the solid cancers. It is used as a combined modality approach with Surgery and Radiation therapy. In selected advanced stage cancers chemotherapy is used for palliation. 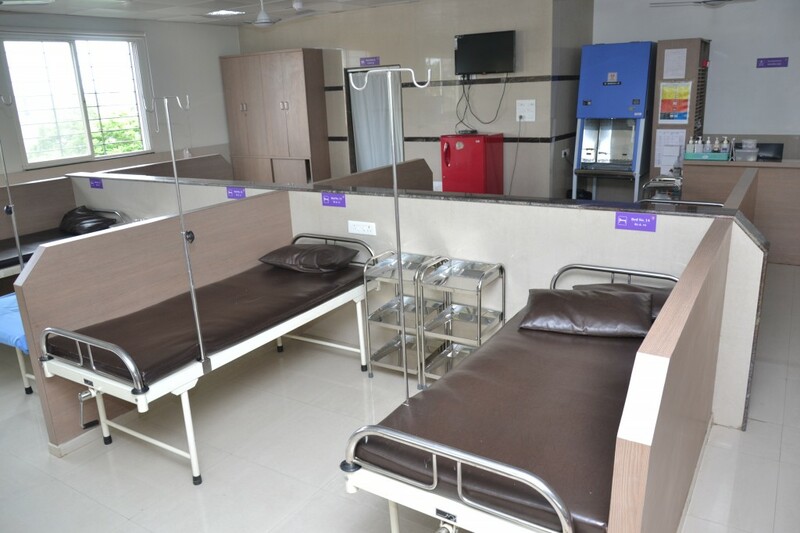 To take care of the specific requirements of these patients trained staff, infusion pumps, isolation rooms have been designed. Olympus V 70 video endoscopy gastroscope, colonoscope, ERCP scope and bronchoscope ensure optimum diagnosis and therapeutic interventions. 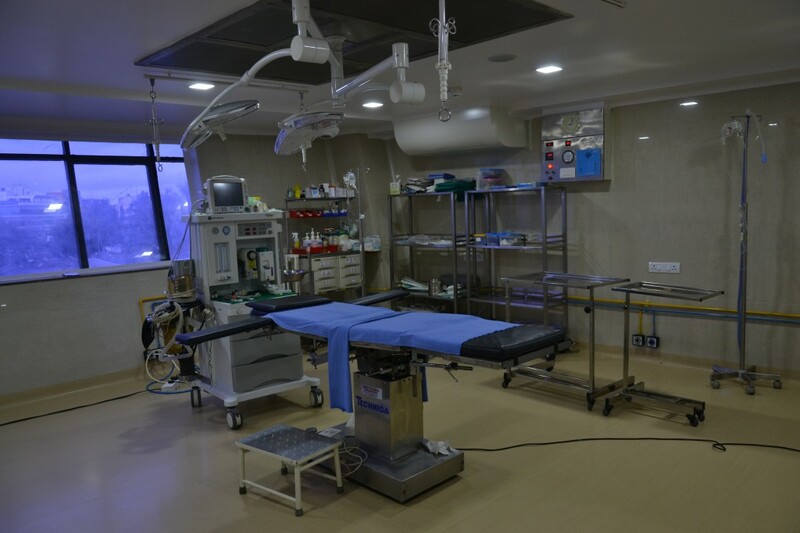 The centre has anesthesia, Critical Care & Pain management department first time in North Maharashtra region, headed by an experienced Anesthetist. This reflects our commitment in having smiling pain free patients. 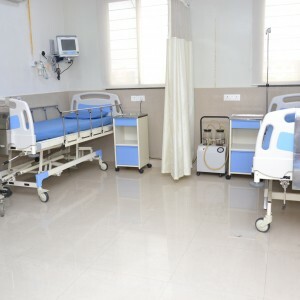 Preventive Oncology department is to emphasize on the incidence & Prevalence of cancer, tobacco & it’s hazards, the need for regular self examination, risk factors & warning signs of cancer, arrange free cancer detection camps. A hard working team would help diagnose large number of patients in early stages thus increasing the survival results after treatment. 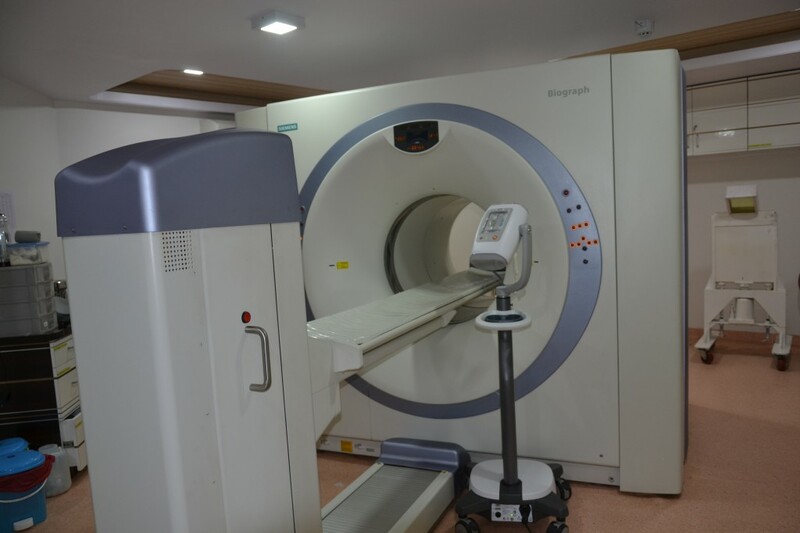 For accurate diagnosis high speed CT scan (Spiral), Ultra Sonography with Color Doppler, 300MA X-Ray, Mammography facilities are available. 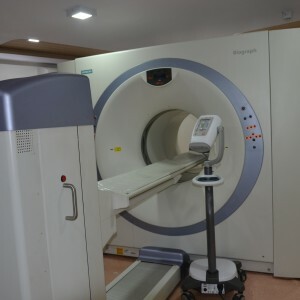 Interventinal radiology has increased the scope of treatment and result. 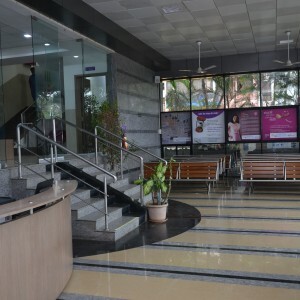 Our fully computerized pathology laboratory with cytology, histopathology and hematology form the backbone of the centre. 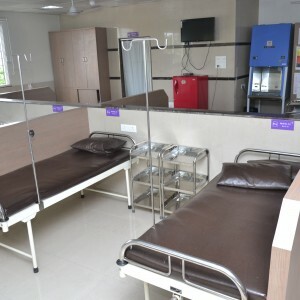 Unique hygienic Nestle outlet to take care of patient diet. The services of dietician are also available to guide the patient for the Healthy & Optimum Diet. 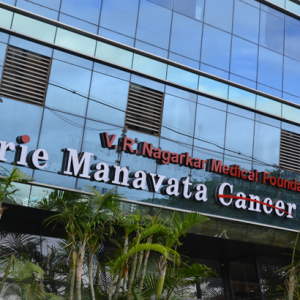 The Third Party Administrator Insurance Services is one of the services offered at Curie Manavata Cancer Centre,Nasik.The Third Party Administrators are vital players in healthcare segment and have expertise and capability to administer all or a portion of claims process. For further assistance, please contact our TPA Desk at centremanager@manavatacancercentre.com. 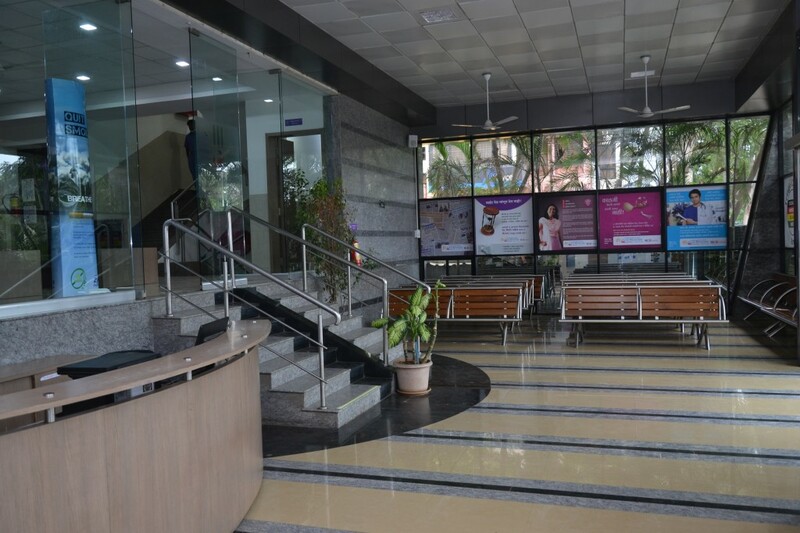 70 seater air conditioned conference hall with video conferencing facility ensures weekly tumor board meetings and interaction with specialists from Bangalore, Ahmedabad, Delhi, Ranchi. Regular awareness programmes for the masses & doctors are conducted with seminars. 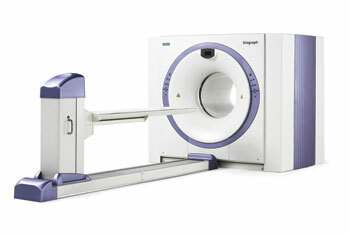 With a compact footprint and low system weight for its capability, the Siemens Biograph 16 PET CT machine is a fully integrated 16-slice scanner. A used Siemens Biograph 16 PET CT scanner produces remarkably detailed images while assuring maximum patient comfort. Each refurbished Siemens Biograph 16 PET CT features a large gantry opening, continuous patient port and short tunnel for ease of positioning.